309 p., 4 ill., 18,1 x 25,4 cm. Immediately after Bolzano’s death, two works on Bolzano’s biography were published by members of his closest circle of friends in 1850 : the ›Bruchstücke zu einer künftigen Lebensbeschreibung des sel. Professors Bernard Bolzano‹ (Fragments of a Future Biography of the Blessed Professor Bernard Bolzano) by Josef Hoffmann and the 'Skizzen aus dem Leben Dr. Bernard Bolzano’s. Beiträge zu einer Biographie’ (Sketches from the Life of Dr. Bernard Bolzano. Contributions to a Biography) by Anton Wißhaupt. Josef and his wife Anna Hoffmann had been Bolzano’s hosts at their estate in Tiechobus for many years. Anton Wißhaupt had been Bolzano’s family doctor since the death of Vincenz Julius von Krombholz. 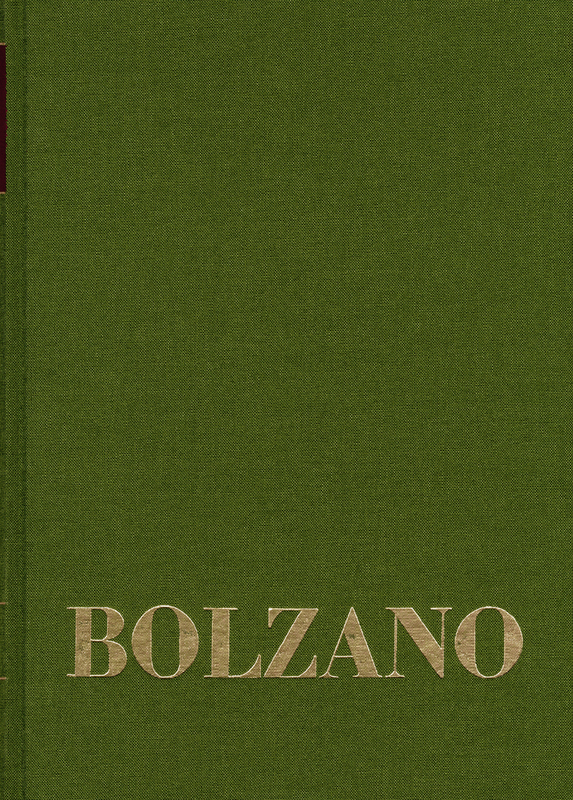 These two works are based on personal experience and contain important information about Bolzano’s life and his habits. Thus these are important documents written by contemporary witnesses.